The most comfortable seat in the house brought to you by keekaroo. The keekaroo kids chair plus comfort cushions offers the perfect seat for mealtime, homework time, computer time or any time. 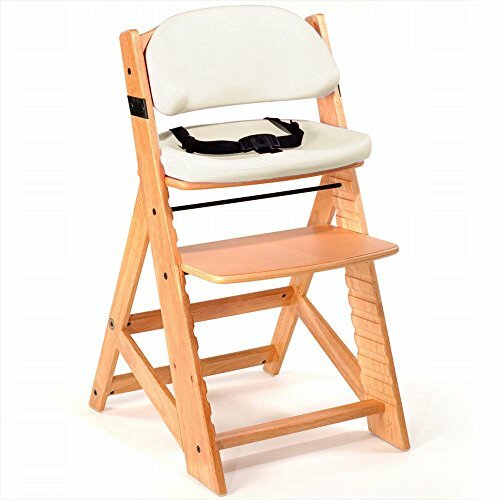 The keekaroo kids chair is a stylish wooden high chair made from environmentally friendly rubberwood. This sturdy design holds up to 250 lbs and can become your child's seat for years to come. Adding the comfort cushions not only adds a sense of style, it adds safety and comfort for your child. The comfort cushions are made in the USA of BPA-free and latex-free materials. The comfort cushions are peel and tear resistant and wipe clean with warm water. The outer layer is impermeable to liquids and offers antimicrobial protection. The keekaroo kids chair plus comfort cushions are JPMA certified to the highest ASTM standards. The keekaroo kids chair plus comfort cushions is your child's seating solution for life. You can't outgrow a keekaroo.